Long Live Comedy is Newcastle’s longest running comedy night. It’s remained a fixture to the North East’s comedy scene for 12+ years and somehow has remained weekly and for free. It took a 3 month hiatus in 2018 as its venue, The Dog and Parrot, was having a pretty thorough refurbishment, but is set to resume at the end of the month with much of the same stand-up comedy fun that’s to be expected of it. At the start of its downtime, I wasn’t so sure of its future, and went to the lengths of preparing an epitaph of sorts; I wanted to make a list that was sort of like “Long Live Comedy’s Hall of Fame” with the names of everyone that made Long Live Comedy great. And I don’t just mean the notable names that went onto greater success or the famous people who dropped in, I wanted everyone who had seriously contributed in some way. Everyone who had ran it, people who have helped out, anyone considered a “regular”. Before we jump in with the full list, there’s some important names and history to consider straight off the bat. 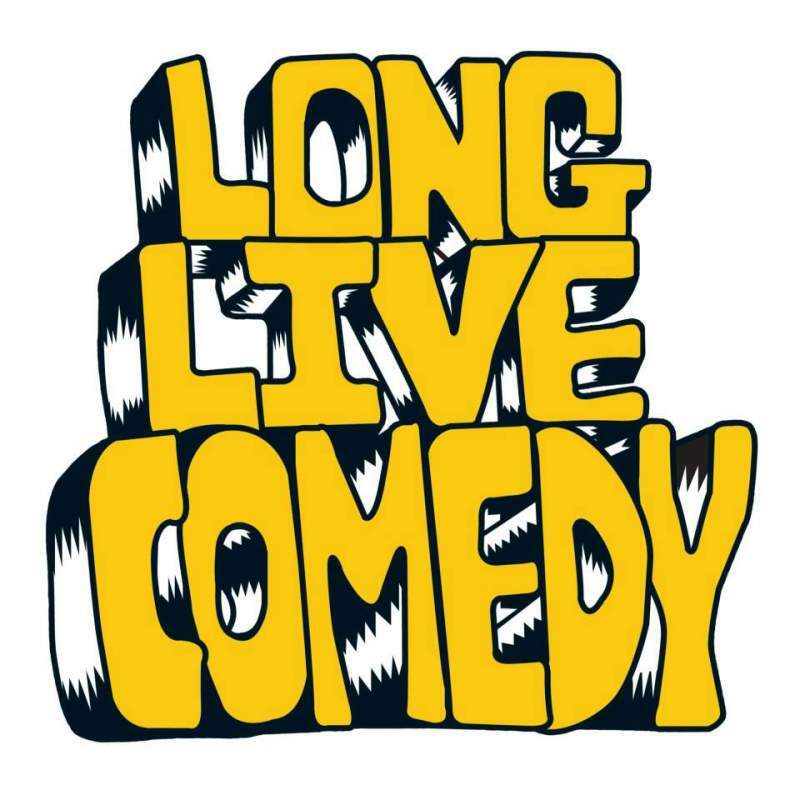 Long Live Comedy was set up in 2006 by Callum Cramb, Al Dawes and Pete Thompson. At the time, Newcastle didn’t have all that much to offer when it came to comedy nights, especially nights that were open to absolutely anyone. If it wasn’t for them, there would be no Long Live and, I think it’s fair to say, that several of the talents that have emerged since may never have had a place to find their voice. And even long after the trio had left Long Live behind them, the night continued to use the same broken little P.A. that Callum had bought cheap for the very first night (until 2016 when it finally died). After their departure, the baton was passed onto others to continue running the night. It often went to regulars who the previous vanguard knew would take good care of their baby, so Long Live has fallen into the caring hands of the likes of Graham Oakes and Sean Turner, George Zach, Cal Halbert and Rahul Kohli and finally to me. All of those before me ran the night for extended periods of time, but, like those also before them, each had to move on. In some cases, it was due to their own demand as comedians or not having enough time to put on a weekly comedy night for free or just sheer exhaustion from seeing comedy every Tuesday. All these folk did a very great job at keeping the spirit of the night around before it fell into my hands right at the start of 2015. My goal was always to keep it going steady and secretly aspiring to run it longer than anyone else had, not as a display of commitment or arrogance, but as a statement that I absolutely have no ambition. The previous owners are all VIP’s in the annals of Long Live and most of them still show up and perform or watch. And the less said about Stephen Frizzle the better. The first few years of Long Live were considered “must-see” shows, and a tight little community of performers and devoted audience were formed. Over the years, there’s been all number of people who have contributed in enormous ways, from MCing shows to regularly performing to just helping out in some form to keep the night running. At the most successful, Long Live Comedy even had a second night at The Chillingham in Heaton. Of course, one thing that is almost immediately mentioned when it comes to Long Live is its history as the starting ground for a lot of big name comedians. Sarah Millican headlined the first Long Live Comedy. Chris Ramsey did his first ever gig at the sixth Long Live and would regularly perform there and eventually MC some of them. Reginald D. Hunter, Jason Cook, Ed Gamble and Nish Kumar have each dropped in to do previews or impromptu spots. BGT winner Lee Ridley (a.k.a. Lost Voice Guy) regularly performed at Long Live, the last time of which was doing a preview of his Edinburgh Fringe show in July 2016. In March 2018, Johnny Vegas came to watch his friend (and co-star) Ben Crompton performing. Loads of the North East’s top talent have performed at Long Live like Gavin Webster, Carl Hutchinson, Seymour Mace, Steffen Peddie, Lauren Pattinson, John Scott, Kai Humphries, Matt Reed and the current “Best Unsigned Comedian in Britain” Lee Kyle. I could rightfully go on and on in this section and so many more great acts on the circuit deserve mention. The list of people who’ve contributed to Long Live doesn’t begin and end with comedians though, there are plenty of other people worth mentioning. First off, Tommy Bryon and the rest of the staff at The Dog and Parrot have always been very accommodating and supportive of the night by letting a bunch of comedians use a room weekly for nothing. Others like Neil Harris and Elliot James Clarke have donated or let me borrow some equipment, Sam Potter and Julie Grady Thomas did some flyering and Jonathan George and a couple of others have jumped in to take decent photography of the shows. The lovely Kate Murphy and Peff Soulsby would regularly promote the night on Spark FM and the Newcastle University Comedy Society came to the shows steadily for a year or two. I’m sure there are instances of other people loaning equipment, promoting the show and taking photographs before my day that I don’t know about. Not to mention, whoever designed the logo all those years ago. For their service in shaping the first 13 years of Long Live history and keeping the night alive. Long Live Comedy returns on Tuesday 25th September, upstairs at The Dog and Parrot, with a great line-up with several names straight from the list including Joby Mageean, Si Beckwith and… the Ghost of Long Live Comedy?! It starts at the usual time of 8:30pm and remains free entry – but now has the upstairs bar open and nice comfy seats, so you’ll want to get down early.